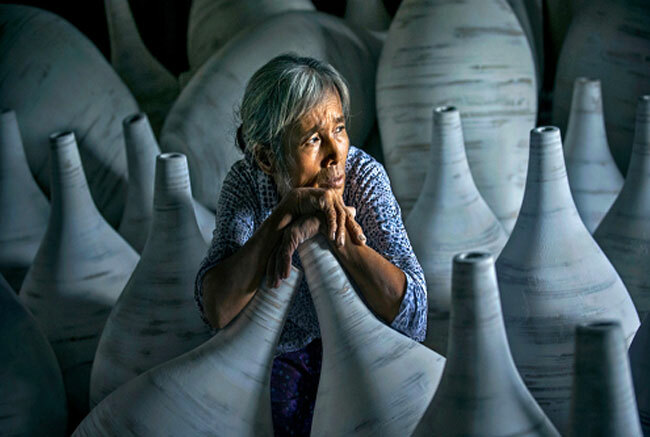 Lost in thought: This photo by Dao Tien Dat won a Gold Medal from the Photographic Society of America. HA NOI (VNS) — Photographers Dao Tien Dat and Tran Phong have been recognised by the Photographic Society of America for their work in colour and monochrome. Dat won the category for Top Overseas Exhibitors in Small Colour Prints, while Phong finished 16th. In the rankings for Top Overseas Exhibitors in Small Monochrome Prints, Phong was second and Dat was placed sixth.